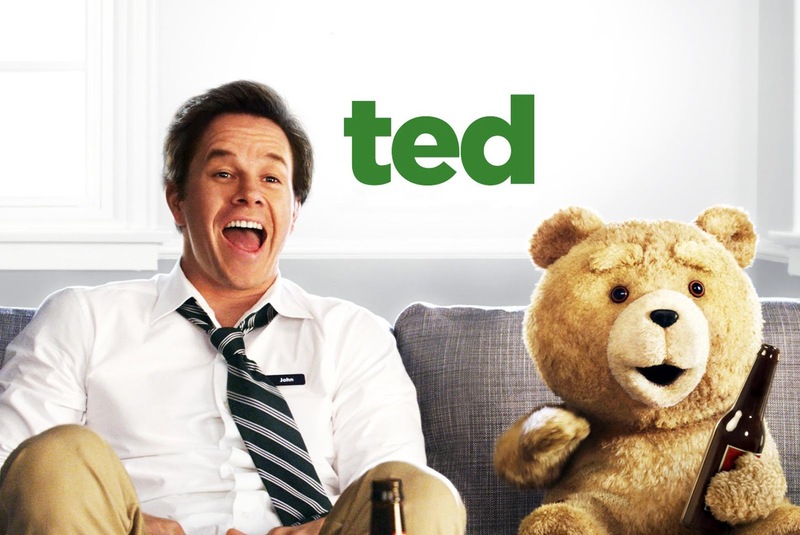 Ted is a film that on a superficial level appears to be a comedy. The timing and structure of dialogue, the pacing of the action, the zany scenarios which include swearing teddy bears and pop culture references from the 1980s all seem to indicate the intention of this film was to be humorous. Yet, when analysing the film for more than a couple of seconds, the notable thing seems to be the absolute lack of jokes which pushes Seth MacFarlane's film into almost avant garde territory. One exchange, which resulted in a great deal of laughter from the audience in the multiplex at which I watched this film, saw the film's protagonist John (Mark Wahlberg) protesting about his abilities on the dancefloor proclaiming he has some great moves. "Oh yeah?" replies his long suffering girlfriend Lori (Mila Kunis), "So do people with Parkinson's." The actors recite the dialogue with the same zesty, rapid speed of a Howard Hawks comedy but, thinking about the exchange, it is apparent that it is lacking any of the ingredients that make up a joke, either good or bad. Why would someone with Parkinson's, the degenerative disorder which attacks the central nervous system, have good moves? Is a Parkinson's reference in and of itself the joke? Lori did not say "you dance like someone with Parkinson's" - this would not have been funny but would in some way have constituted a joke-like insult. The exchange, the more one thinks about it, is entirely baffling. A similar joke include the film's antagonist owning Lance Armstrong's testicle, the one the cyclist had removed to stop him dying of cancer, which he now displays in a golden enshrine. The more I think about it the less I am sure of what the joke is meant to be here. Lance Armstrong, lest we forget, is a real person which clouds the issue but the thing we are meant to laugh at is that a character collects cancer-infested body parts of celebrities. This is much more terrifying than the Saw franchise put together. Ted is a film about an immature man who is easily corrupted, and kept juvenile, by his best friend, a teddy bear brought to life by a Christmas wish, Ted. His girlfriend Lori understandably isn't happy with this scenario and wants John to grow up. This is the crux of a film which I can't stop thinking about for all the wrong reasons and, in doing so, I've clearly considered more than Seth MacFarlane. I would struggle to call this film a comedy not because the jokes are not funny but because there simply aren't any in the film rendering the whole film closer to a Bunuel-esque avant garde experiment than a mainstream studio feature. One critic praised the film by stating that each of the three main characters represent a separate part of the sub-conscious. This same writer, who is a long tie critic for a British broadsheet, did not expand further upon why this made the film at all decent as it is clear he must have stopped thinking at this point. Pushing his theory to its conclusion would result in a fearful, almost fascistic reading of the film. As in all male-centred comedies, the film ends not with the maturation of the male protagonist but, instead, with the female realising that is she who has to change her ways and be more accepting. 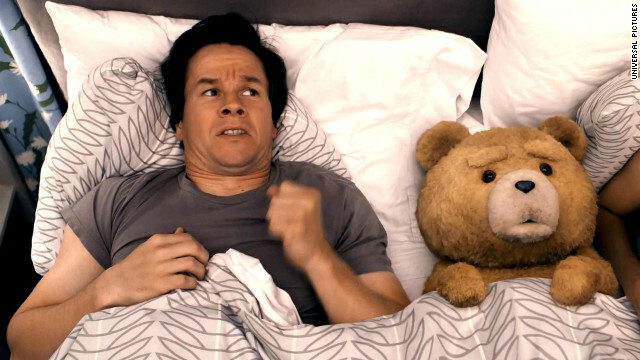 In a Freudian reading of this film, Ted represents the libidinous id and John the ego. Lori is the superego. In this reading, the film's ideology would seem to suggest that in order to become a complete, fulfilled person, the superego, the conscience, has to acquiesce to the other parts of the human psyche. This suggests that a man's ego should always be satiated and the conscience should have to learn to deal with this. I doubt Philip French thought his logic through to this conclusion but, if he did, then he would have read to be a fascistic, Ayn Rand-esque, nihilistic dark reading of the human soul. Ted it would seem is a film which it's writer, it's audience and some of it's critics spent little to no time thinking about. I just wish I could say the same. In all honesty I thought this film was borderline O.K - it made me laugh a little. I think the storyline actually sounded good (in a weird, original way), but they went overboard with 'cheap' laughs and could have done so much better. I love Family Guy, but the humour in this film wasn't even near that kind of level;it definitely didn't deserve the 'hype' from the media.